Who is in the pic with Michael ~ actor Bryton McClure. 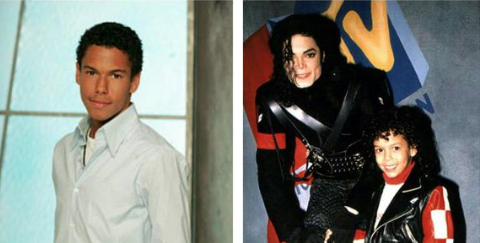 A wonderful interview with Bryton now 26, who shares his memories of Michael, his times with Michael and his stays at Neverland. Bryton met Michael when he was 5 yrs old. With Raven Simoné he was invited to give Michael the Artist of the Year at NAACP Awards in 1993. He also sang on the chorus of ‘What More Can I Give’ and appeared with other artists at the United We Stand Concert with Michael. He has also appeared on stage with Michael during concerts. Bryton was also asked by Michael to be a representative for his Heal the World Foundation.